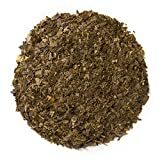 It is related to yerba mate, but not related to Camellia sinensis and has been used by the native people of the region for millennia for its energy and health promoting properties. The above caffeine amount is derived from using 2 grams of traditional guayusa tea and steeped for 4-6 minutes in 8 floz of hot water. 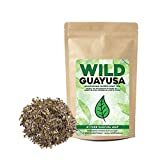 How Does Guayusa Tea Compare? Guayusa Tea contains 8.25 mgs of caffeine per fluid ounce (27.90mg/100 ml).